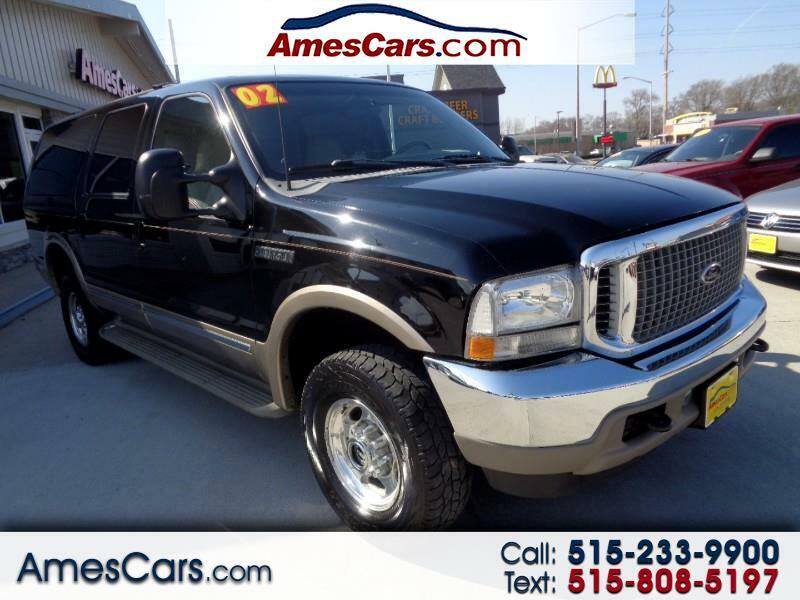 *****NEW ARRIVAL*****2002 FORD EXCURSION LIMITED FEATURING LEATHER SEATS, HEATED SEATS, DUAL POWER SEATS, AUX AUDIO PORT, AUTOMATIC CLIMATE CONTROL, 4 WHEEL DRIVE, KEYLESS ENTRY, LOCAL TRADE IN THAT RUNS AND DRIVES GREAT! CALL FOR MORE INFORMATION AND TO SCHEDULE A TEST DRIVE TODAY!! Message: Thought you might be interested in this 2002 Ford Excursion.